This is an uncommon CD 106 Hemingray EIN . 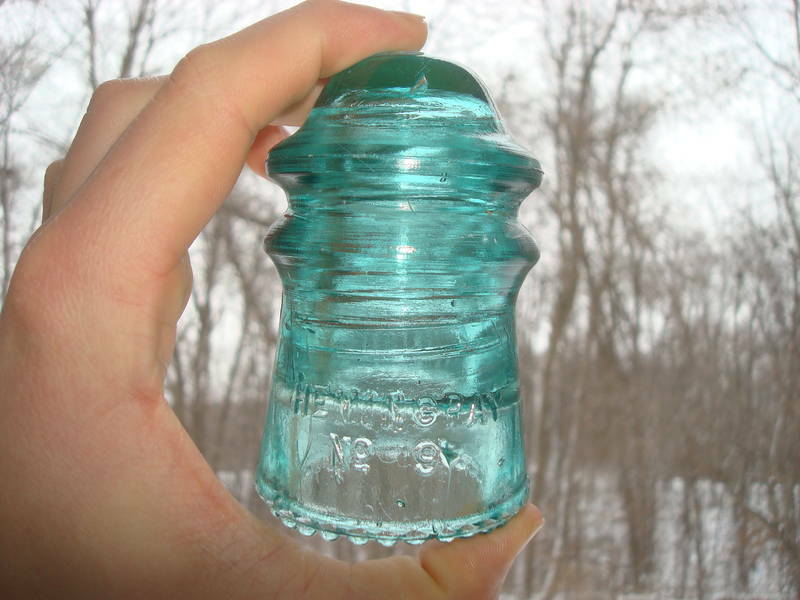 The reason this insulator is more uncommon is due to the fact that it has RDP instead of SDP. There is an underpour on the front skirt which raises some of the drip points off the ground. The underpour also includes a hole right after the "9". The hole goes all the way through. The damage on the insulator includes a few chipped drip points and a 1" chip on the wire groove and some roughness on the mold line. EIN  Feel free to ask any questions. Asking $30.00 plus actual shipping cost.